"Dreary," I muttered, as I rolled over in bed this morning. After a long weekend of sunshine, late nights, and memories, I awoke to my busiest, back-to-real-life day of the week with a sky full of grey. Rain trickled down in spurts - not the exhilarating, pouring, mega-drops, but halfhearted, puny drizzles: too pathetic to turn on the windshield wipers, but just wet enough to keep you flicking them on and off, on and off, on and off. "Pathetic," my heart whispered, as I worked through my morning routine and left for school. Time with God was abbreviated and peppered with yawns. Tardy to-dos descended in thick torrents: emails to write, phone calls to make, lessons to schedule, homework to finish, recital prep to tackle. My coffee tasted like water run through a filter which at one time may have looked at a picture of a coffee bean. I was late. "Bored," my soul slumped, flipping through radio stations in the car, trying to find something besides investment and jewelry ads to listen to as I trailed long lines of irrationally bad traffic. "What a Jonah day." "Just think," a radio preacher's words contradicted, leaping into my consciousness, "Today could be the day." Because, after all, today could be the day. Photo Credit Maeda, Hiroaki. 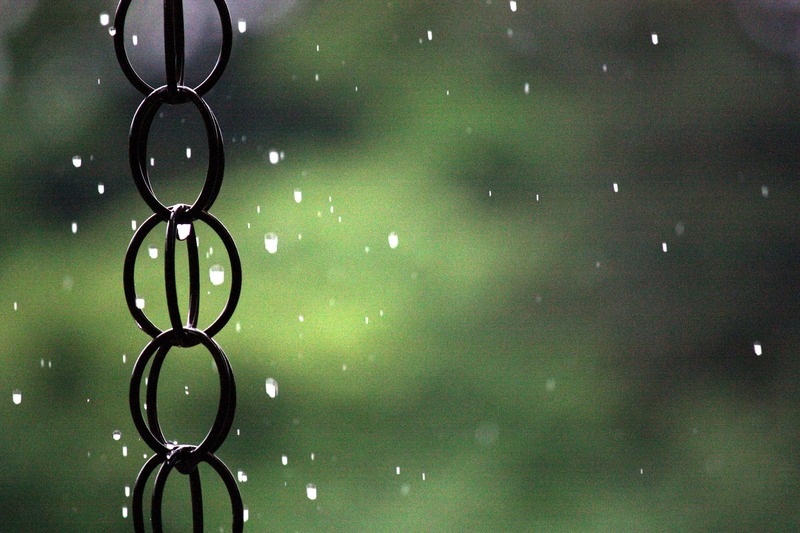 raindrops. 5 May 2009. Flickr Creative Commons.